So, today a coworker tried to foist off a very difficult project onto me because she didn't want to deal with the person who caused the problem. And I was like, nope. Not my case. She tried again. "But you're really good at handling her!" Um, I said no. Also? No. Do your own damn work. 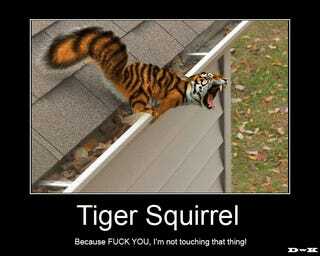 That case is a tiger squirrel. My Wife Has Joined Kinja! !